Hello and Welcome to Artful Baby Reborns! I have been a doll collector and artist since childhood and reborning since 2010. Each precious baby I create has been inspired by my love of newborns. It is artwork from my heart to your arms. Every “Artful Baby” Reborn is created with the serious collector in mind. 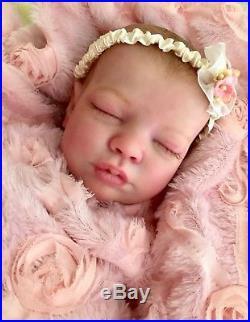 Artistic conception and premium products are combined to develop a “Living Doll” replica of a Newborn baby. Advanced techniques are used to develop depth, realistic skin tone. And the weighted feel of a real infant. 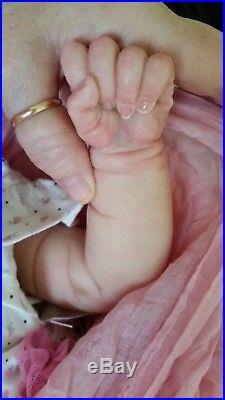 This OFFER IS FOR A CUSTOM REBORN DOLL. A BEAUTIFUL CUSTOM REBORN. You Choose One Baby. By Priscilla Anne of Artful Baby. 22-23 inches (54.3 centimeters). PLEASE VIEW PHOTOS FOR EXAMPLES OF MY ART. I JUST LOVE A BABY! 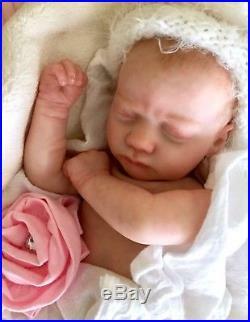 THIS OFFER IS FOR A REALISTIC REBORN DOLL. CUSTOM CREATED BY PRISCILLA ANNE of ARTFUL BABY REBORN. 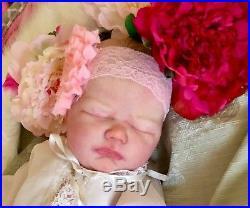 An Exclusive One Of A Kind Living Doll Approximately 19, 20, 21 to 22 inches in length Newborn to 3 months in size! Here are a few in my STASH. ELIZABETH a REALBORN SCULPT , 19 Inch. BABY JACK by Tina Kewy, 21 Inch. ASHLEY a REALBORN SCULPT Preemie. GRACE by Tina Kewy, 21 inch. EVELYN a REALBORN SCULPT 19 INCH. PRISCILLA a REALBORN Sculpt 19 inch. Landon AWAKE Baby With Glass Eyes 21 Inch. CHOOSE ONE OF THESE LIMITED SCULPTS. 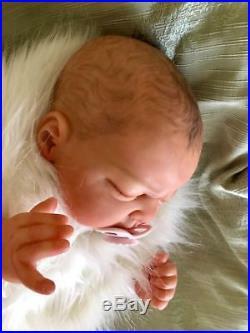 ALL PHOTOS ARE EXAMPLES OF MY REBORN CREATIONS. These are Limited Edition Sculpts World Wide. Each Doll Kit is Certified Authentic. You will be kept updated throughout the reborning process as to my progress. BABY AT A GLANCE. Your choice of girl or boy. A Realistic three dimensional skin tones using Genesis Heat Set Paints. This baby will be created with the Advanced Skin Tone Palette used by Reborn Artist Linda Hill at the ROSE International Doll Show 2015. Babies are weighted with glass granules and premium poly fiber filling No sand in my babies! Your choice of lightly painted, 3D newborn hair and eyebrow color with matching premium mohair rooted eyelashes Baby Hair Is painted in many detailed, realistic layers for a lovely 3D effect. It takes time to paint, cure and assemble this collectible heirloom quality reborn. PLEASE VIEW EXAMPLES OF MY ARTWORK IN THIS LISTING! 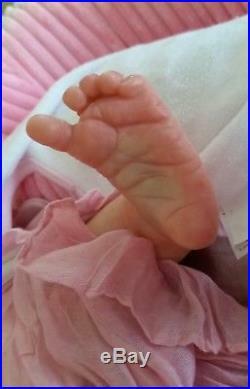 These photos of my Reborns have been created by Priscilla Anne. 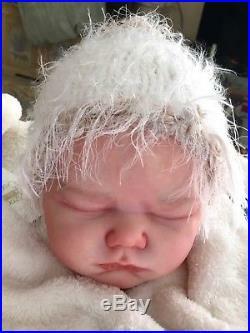 This Reborn will be accompanied with a layette of newborn clothes, baby blanket, baby stuffed toy and a few surprises. Be assured you will receive a lovely replica of a newborn child. Each Baby be arriving home with a new baby wardrobe which includes. Baby appropriate outfits, Girl or Boy. Baby PJs, Onsies, A Baby /Hair Band/ Hat/ Booties/Baby Toy/Baby Custom Blankie. Plus a few surprises and Certificate of Authenticity. All babies are non refundable or exchangeable. Be sure this is the baby you truly want. Each Baby is a One Of A Kind and cannot be duplicated. As such they cannot be resold as New. Please be sure this is your Dream Baby. 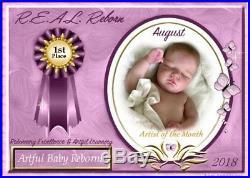 All Artful Baby Reborn Babys delivered exclusively in the USA and CANADA. I DO NOT Send WORLD WIDE at present. I DO NOT Deliver WORLD WIDE. USA & Canada Only Thank You. I do try to be very accurate with each description. PLEASE NOTE THIS REBORN IS NOT A TOY AND SHOULD NOT Treated as such. Not suitable for CHILDREN. The item “AWARD WINNING DOLLCollectors CUSTOM REBORN BABYOrder NOW The Choice is Yours” is in sale since Saturday, October 14, 2017. 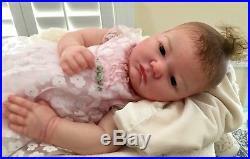 This item is in the category “Dolls & Bears\Dolls\Reborn\Other Reborn Doll Items & Accs”. The seller is “pa4068″ and is located in Myrtle Beach, South Carolina. This item can be shipped to United States. 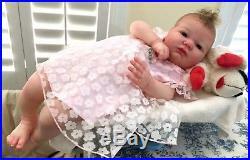 Posted in award and tagged award, babyorder, choice, custom, dollcollectors, reborn, winning by admin with comments disabled.